A Fear and Loathing style road trip down Highway 99 in a rented Dodge Neon. Our single protagonist turns on the ignition and off we go on our adventures. Unlike Hunter S Thompson's much more famous book, this is realistically written and a lot better for it. 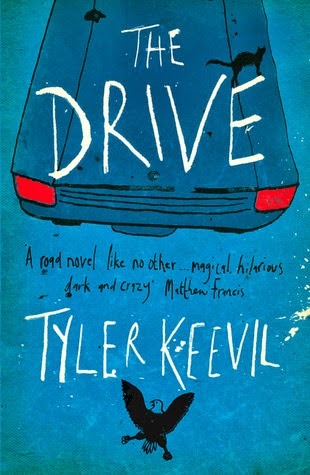 The Drive is simple, good old fashioned story telling with a great plot; and there’s no going off on tangents. The drugs are still there, as is the booze … and the women, the biker gangs, the danger, the diners, the desert, the heat, the desperation, the overcoming of it all and a satisfying ending … and so are you, with the character all the way. Once finished you’ll wish you could go back to the beginning and experience it all over again; which of course you can. But soon his journey to California is fraught with peril, and all he has for protection are a semi-automatic pistol, his trusty plastic visor and a flea-ridden cat. As the drugs and the heartbreak kick in, the question is no longer whether Trevor will get over his girlfriend's infidelity, but whether he’ll get out alive. This book is published by Myriad Editions, a small independent publisher from Brighton. 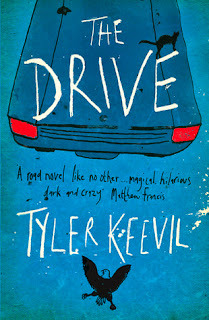 It is Tyler Keevil's second novel.